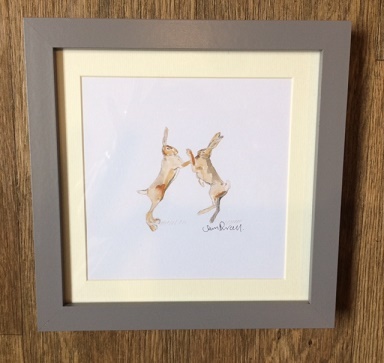 Framed and signed "Boxing Hares" print by Sam Purcell. A gorgeous image from Sam's extensive collection. Image size 15.5cm x 15.5cm. 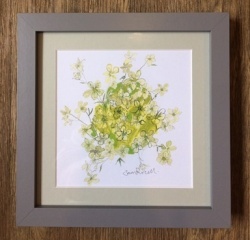 Mounted with grey frame that can stand or hang. Overall frame size 23.5cm x 23.5cm.